Every Dealership has a website and a local network that they depend on daily to operate their business. Most of the prepackaged Dealer Programs from the Direct Writers do not provide much in the way of coverage for this risk. We are pleased to offer coverage for all critical network security and privacy risks on a single form from an admitted Company. Coverages include Digital Asset Loss, Cyber Extortion, Security Failure Notification Expense, Business Interruption and Contingent Business Interruption. 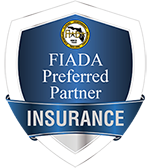 Coverage will be placed at very attractive rates with one of the Leading P&C Carriers in the US. We believe this may represent an area of vulnerability that many dealers may not be aware of.This coverage cuts across all aspects of the communications spectrum. It can be triggered by the usual perils associated with conducting any commercial venture. As internet sales grew, dealers often simply put their most computer-savvy sales person in charge of the e-commerce department. As more cars are sold over the internet these employees are collecting credit card numbers, social security numbers and other personal information from customers on a daily basis. Particularly in view of the recent passage of the Gramm-Leach-Bliley act, this kind of personal data could be collected on a large number of customers in a short period of time, with the information on each customer representing a potential claim. The mis-use of this personal information by a dealership employee could lead to significant liability for the dealer.. Identity theft and many other privacy issues are just part of the potential exposure. Coverage, if it exists at all, may be inadequate to address this risk. We are working to identify these exposures and develop risk management policies and procedures to protect dealers from this risk. If the Web Site is intended to go beyond providing mere information and actually attempts to market a product and/or transact electronic commerce via the Web Site, all the law and all the risk and regulatory issues relating to advertising will apply to content providers in a manner similar to print and television media. The other aspects of secure transactions, cyber-payment systems and product fulfillment create real time monetary exposure to financial loss. Until an infrastructure can be built to support electronic commerce, similar to traditional transactions, this will continue to be an area of exposure.